Can you afford to spend more than $16,000 per annum on an entry level Japanese sedan? In recent years, it has become more expensive to buy a car in Singapore. With COE prices hovering at around $50,000 and the Additional Registration Fee (ARF) increasing, one can expect to pay much more for cars today. For example, a Mazda 3 costs about $95,800 today where it used to cost about $60,000 a decade ago. In addition, first-time car owners or those who have never own a car before may be surprised to learn that the cost of owning a car goes beyond just its purchase price. In today’s article, we will break down the various aspects of owning one of Singapore’s most affordable cars – the Mitsubishi Attrage, and how much you need to earn in order to realistically afford it. Before we start, we want to highlight that we are not the first website to have written about this topic. Other websites such as Dr Wealth have written about this topic before. Their calculations are somewhat different from us. You can explore the different ways of measuring affordability based on your preference before you buy a car. Car ownership comes at a cost that goes beyond just the purchase price of a car. To help us calculate this, here are some cost areas to consider. With the use of the Mitsubishi Attrage, which currently costs $76,000, let’s run through each of these cost areas. 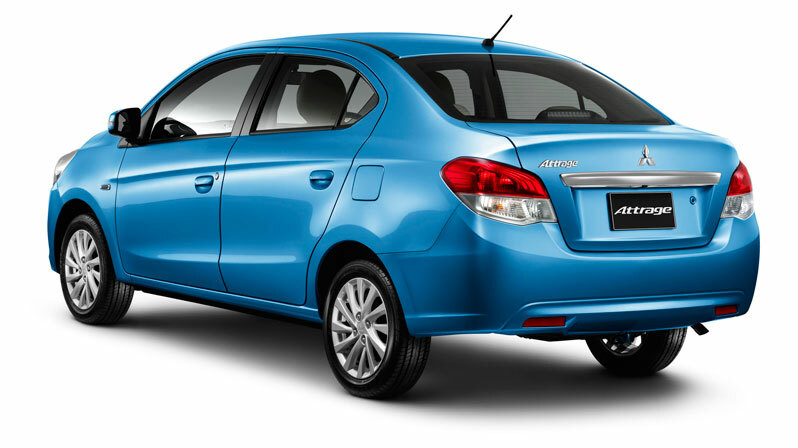 The Mitsubishi Attrage has a depreciation of $7,300 per year, over the next 10 years. This cost, which is inclusive of COE, is a much better way to determine annual cost as it takes into consideration the deregistration value at the end of 10 years that car owners receive back. This is simple to find out. The road tax of the Mitsubishi Attrage is $506 per year. The exact amount differs depending on which insurer you use, and your driving history. On average, we expect a new car owner to pay about $1,250 per year for comprehensive insurance coverage. Parking and petrol is a cost area that many people underestimate. For a start, if you live in a HDB block, parking will cost you a minimum of $110 per month. Add in the cost of parking elsewhere (e.g. office) and this could easily be a further $80, with the exact cost depending on where else you park each day. If you spend an average of $60 per week on petrol, this adds up to $240 per month. Add on about $20/month for ERP charge and you would be looking at about $450 per month. This amounts to $5,400 each year. This is trickier to calculate depending on the workshop you go to, the problems you encounter, how often you drive your car and how well you maintain it. We will assume that the first five years of a car does not give you any major problems though regular servicing is still required. When the car becomes older, the probability of a major servicing required with parts being replaced increases substantially. If we assume servicing costs you about $500 per year, with an additional sum of $5,000 set aside for parts replacement over a 10-year period, you will be looking at a total cost of $10,000 for 10 years, or about $1,000 each year. Unless you intend to pay in full, interest cost is an additional expense that you have to bear. If we assume a 50% loan, a $38,000 loan on the Mitsubishi Attrage will be taken. Based on a 5-year loan period at an interest rate of 3% per annum, you would have incur total interest cost of about $5,700, or about $570 each year when annualised over a 10-year period. The total cost of $16,026 per year may be surprising to those who think that owning a car is simply about its purchase price. However, the table above clearly shows that while buying a car in Singapore is expensive as it is, maintaining a car over its lifetime is also equally expensive. How Much Must You Earn To Be Able To Spare $16,026 Each Year? It goes without saying that there are other expenses in life that you need to cater for. CPF will take away 20% of your gross income leaving you with 80%. If we assume that 20% of your income goes towards savings, loan repayment and investments, that leaves us with just 60%. Household necessities, kids expenses, provision for parents, insurance premiums, day-to-day expenditure and discretionary spending can easily add up to another 40 to 50% of your total gross income. Realistically, we don’t think Singaporeans should be spending more than 10 to 20% of their annual income on a car. With that percentage in mind, we would expect you to have a household income of at least between $80,000 to $160,000, before you even think about buying the most affordable car in Singapore. Do you agree with our assessment? Or do you think Singaporeans can afford to buy a car even with a lower income? Discuss your views with us on Facebook.